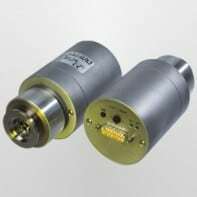 The compact VSM72 Pirani/cold cathode combination transducer measures absolute pressure from atmosphere to ultrahigh vacuum. The intelligent, micro processor driven Smartline transducers automatically control the appropriate interaction of both vacuum sensors regarding measurement ranges and switching points to achieve high accuracy. Measurement Range 1000 – 5 x 10-9 mbar (750 – 5 x 10-9 Torr),max. overpressure 4 bar abs.